If you’re wondering what a tactical flashlight is, it’s nothing much more than a regular torch but a whole lot brighter. We’ve run through a battery of testing and curated 5 of the very best tactical flashlights for you. With so many models to choose from and little to differentiate many models, we’ve saved you a great deal of time and trouble. Put simply, all the flashlights we review are hard-hitters and it’s just a question of which one fits your needs and budget best. We’ll finish up with a brief but useful buying guide to help you streamline your buying decision further. Since we know you’re busy, we’ll dive straight in with our tactical flashlight reviews without further ado. If you’re prepared to spend a little more for a rock-solid tactical flashlight, the Olight M2Y Warrior will repay the relatively modest investment in spades. A soft press kicks in turbo mode while pressing down more deeply activates the constant on/off. If you want the strobe, press deeply and hold down. This uprated model now offers a full 13 strobe cycles per second, enough to disorientate any assailant while you show them a clean pair of heels. While this is a design-driven tactical flashlight, it’s certainly not a case of form over function. If you’ve got a flexible budget and a desire for one of the best torches on the market, you can’t go wrong with the Olight. 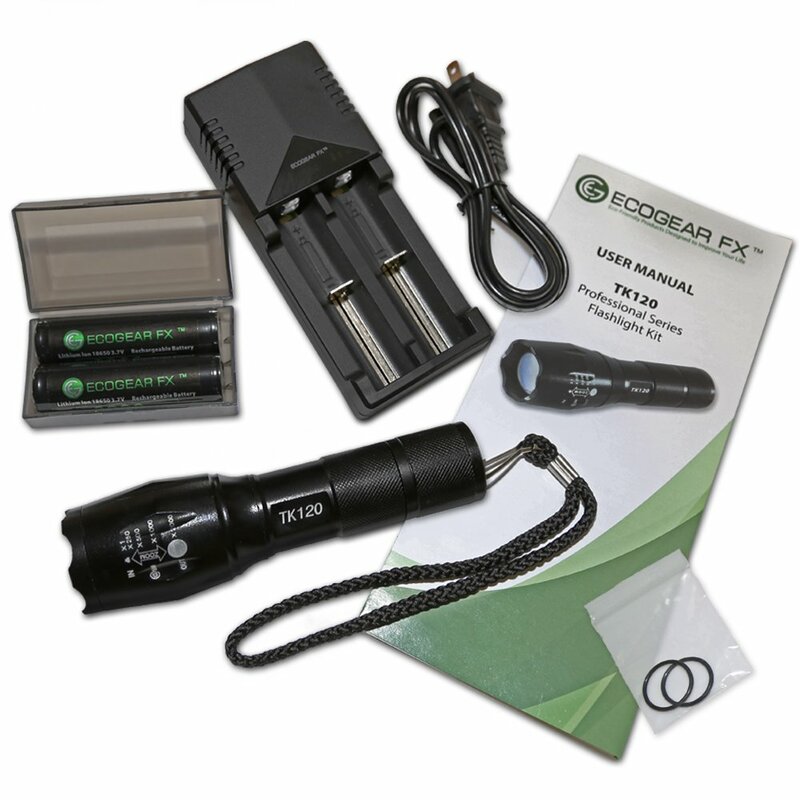 Next up in our best tactical flashlight reviews is this full kit from EcoGear. You’ll get batteries and a charger included so you can get going pretty much straight out the box. The way in which you can zoom allows you to pick off objects at up to 1000 feet while giving you enough light to illuminate a large room. This is an extremely flexible unit that’s also solid and built to stay the distance. All expected modes are in place (low, medium, high, strobe, and SOS) so you have all main bases covered at a price you’ll love. 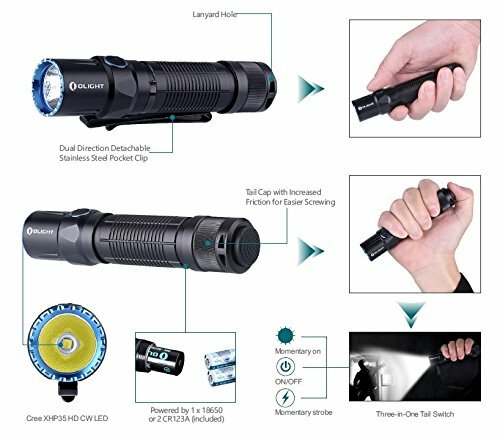 This flashlight feels rugged while it’s still lightweight enough to carry on long walks at night and small enough to pop in your bag without feeling overburdened. If you’re looking for a mid-price model with top-notch performance and functionality, road test the EcoGear and you won’t be disappointed. 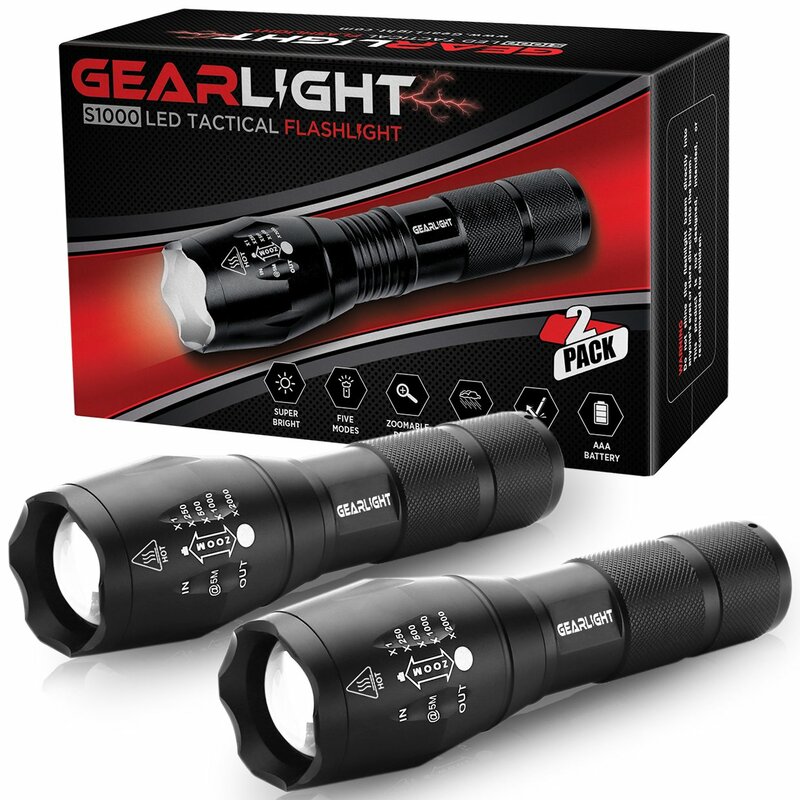 At the midpoint of our best tactical flashlight reviews, we’ve got an extremely affordable 2-pack from GearLight delivering almost laughably sound value. As with any cheaper product, you need to peg your expectations when it comes to longevity. 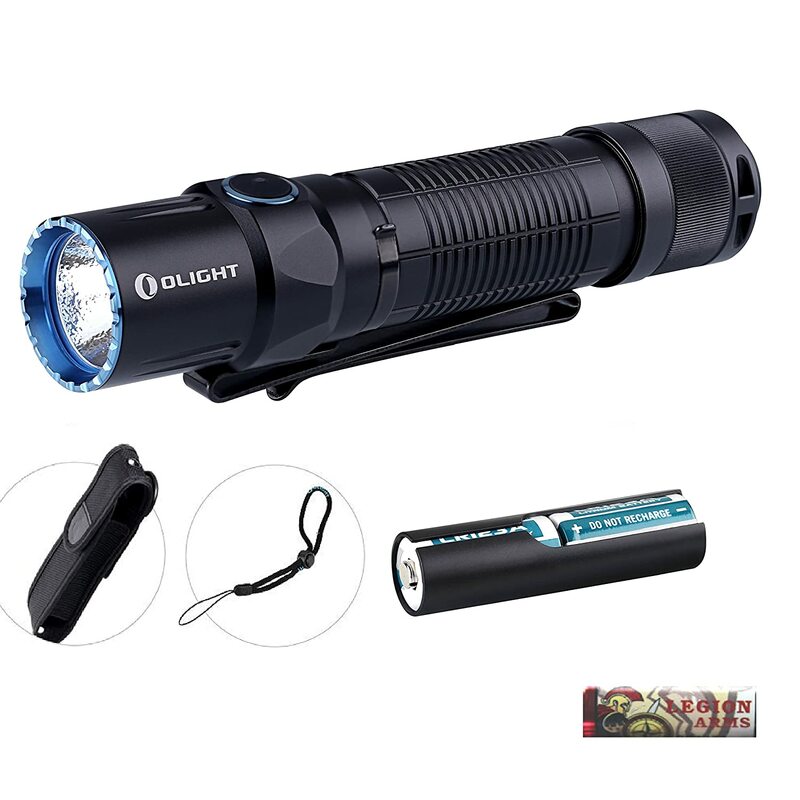 In all other respects, this is a dependable and pretty bright flashlight that kicks out far more power than a standard-issue, non-tactical version. With a trio of brightness settings and a strobe along with the SOS feature that might just save your skin one day, you can’t ask for too much more, especially at this cut-throat price-point. You’ll be able to batter this torch around and even drop if from a considerable height and it will just keep on going. 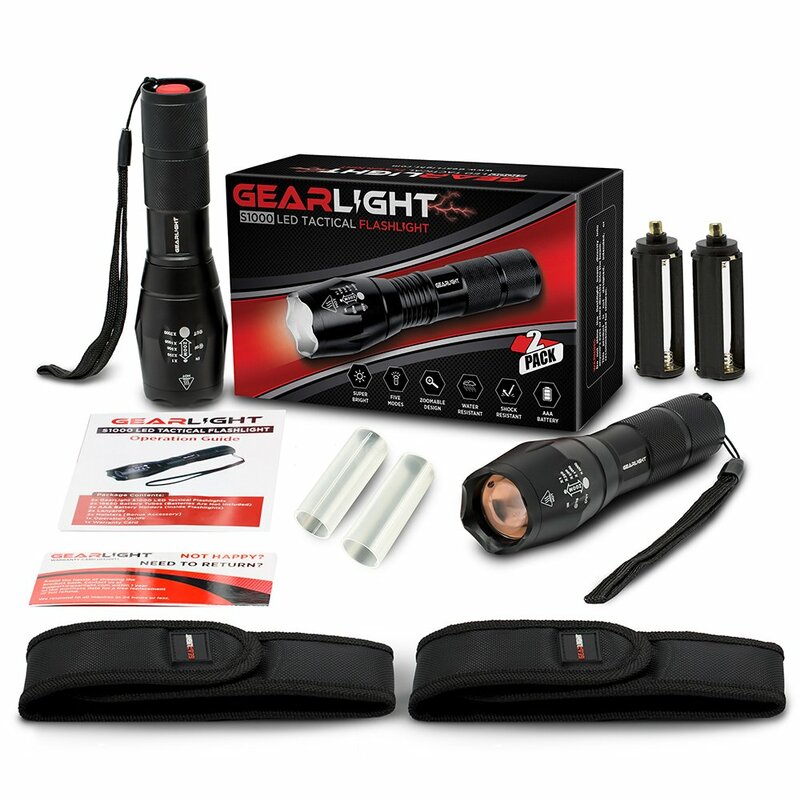 If you can’t resist a bargain and you’re looking for two tactical flashlights for the price of one, check out the GearLight at your earliest opportunity. 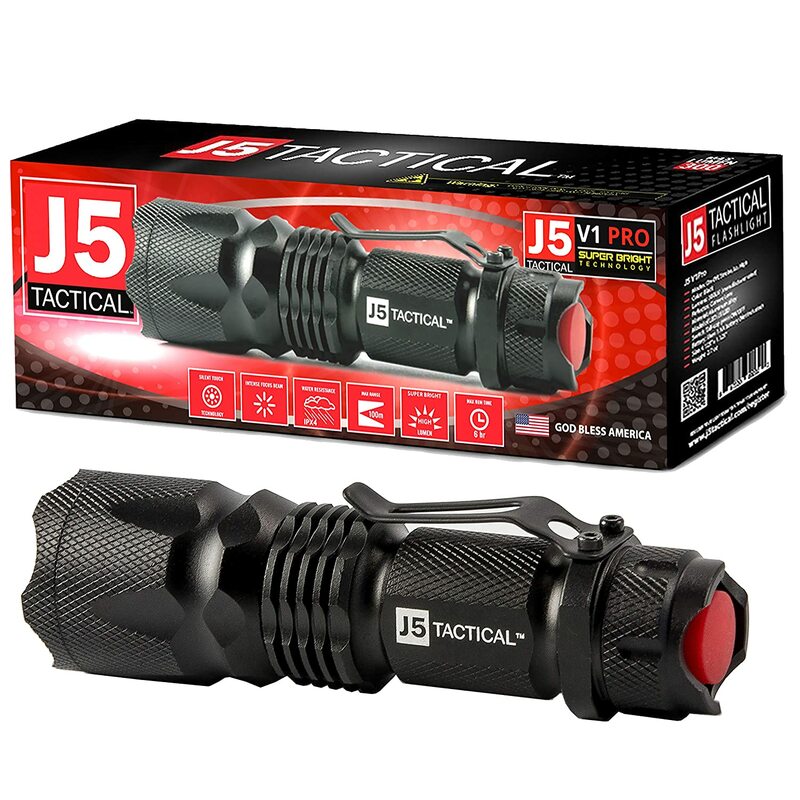 As we edge to the end of our best tactical flashlight reviews, we’ve got a micro-model from J5 Tactical with an incredibly loyal following and a staggering sales record. As long as you’re aware upfront that this torch is absolutely tiny, you could be in for a surprise when you see it in action. Bright enough for almost any purpose, you’ll get a 600-foot range in a surprisingly solid chassis. To put this into perspective, it weighs less than 3oz while measuring up at 4 x 1 ¼ x ¾ inch. Opt for disposable or rechargeable batteries according to your taste. Although you’ll only get 3 modes (high, low and strobe), the brightness more than compensates for this lack of flexibility. If you fancy a compact and pocket-sized tactical flashlight from a brand you can rely on, what are you waiting for? Check out this tiny little torch and you’ll see it delivers in fine style. 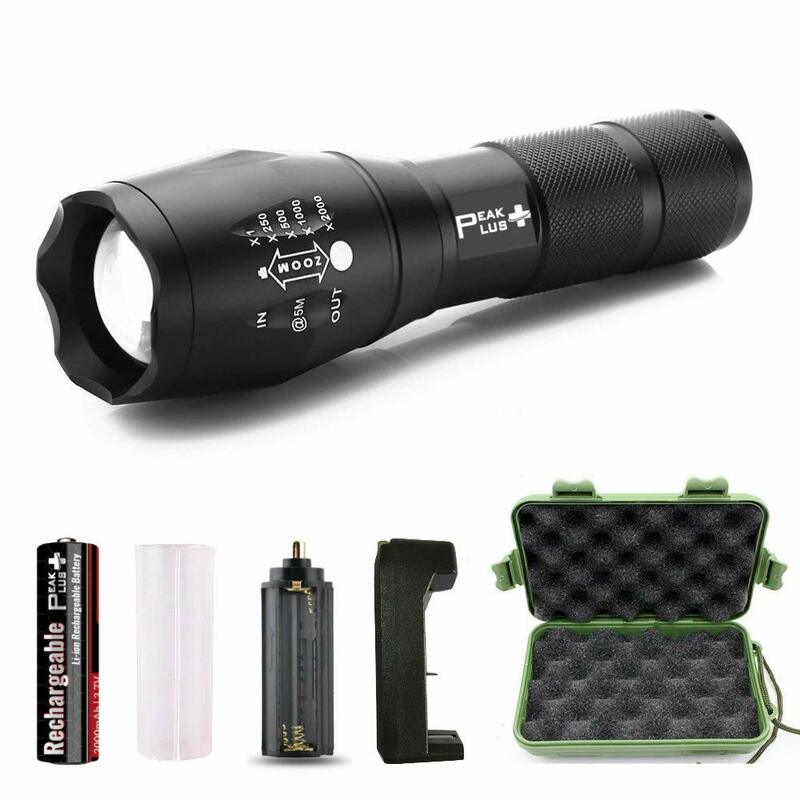 As we close out our best tactical flashlight reviews, we’ve got another budget-friendly option, this time from PeakPlus. 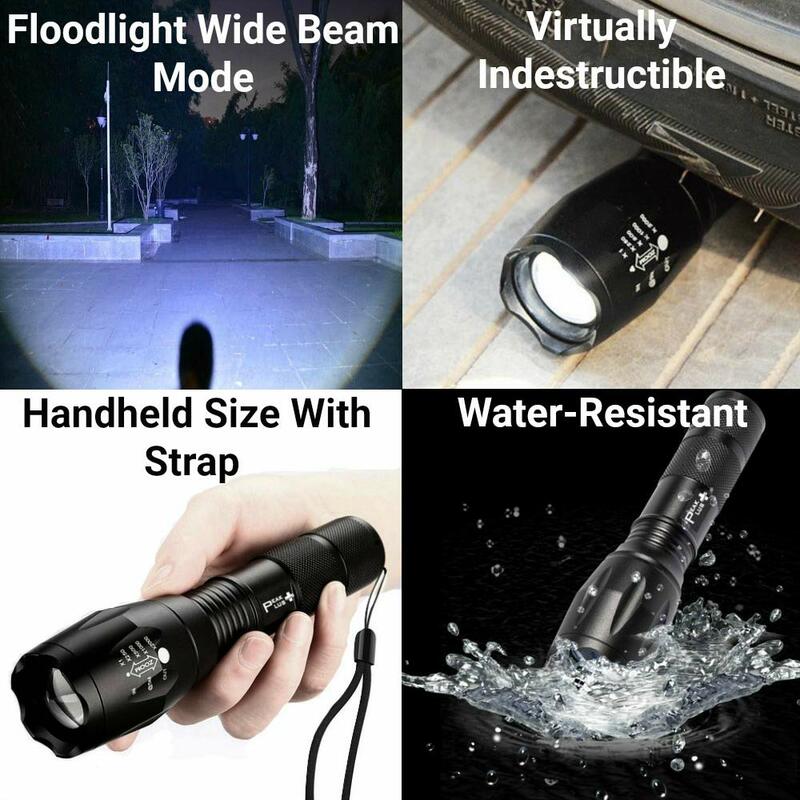 Since there’s relatively little to differentiate the best tactical flashlights, it would be unrealistic to expect anything particularly radical. What we will say is you’ll get everything you could want in a torch from piercing brightness when it counts to that vital SOS mode and a cracking zoom feature. Alongside this raw performance, you’ll also get a highly reliable chassis that won’t let you down even if you drop it a few times. Whether you’re hunting or hiking, strolling to your car at night or using the flashlight at home, there are few situations in which the PeakPlus will ever let you down. With our tactical flashlight reviews nailed, it’s time for our regular handy hints section where we’ll guide you through buying the best torch the easy way. Why Buy a Tactical Flashlight? Tactical flashlights are far brighter than regular flashlights. Not only does this give you far superior vision when it’s tar-black outside, you can also use that stunning brightness to shine directly into the eyes of any would-be attacker incapacitating them while you run off. 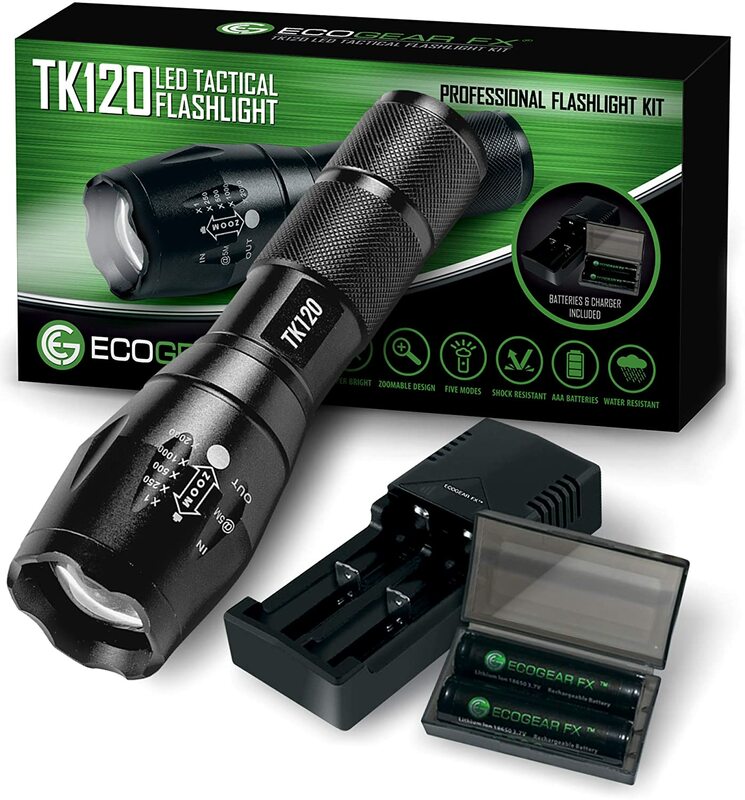 For these reasons, tactical flashlights are widely used by law enforcement agencies and security guards the world over. They are also incredibly popular with committed survivalists. 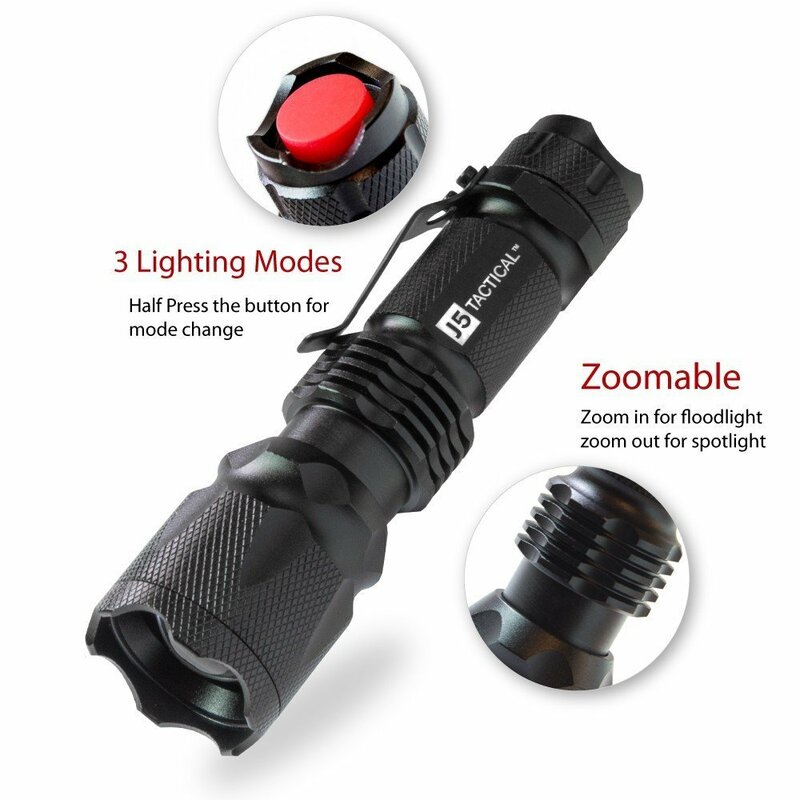 Ostensibly a pretty simple purchase, there are nevertheless a few things you should double down on to make sure you get the best tactical flashlight for your needs. With many products, there’s a vast difference between low-end and upscale models. That’s not really the case with tactical flashlights. Even the top-tier torches are still remarkably cheap. What we’re saying here is that you should avoid the very cheapest models since they’re liable to let you down and the pricier options still won’t run you too much. This is certainly not to say you should overspend but you shouldn’t expect to pay a few bucks and end up with a high-performing unit. There’s another advantage to thinking about price first, too… Without needing to do anything whatsoever, you’ll immediately whittle down your options and make your buying decision that much easier. Potentially the most important element of your buying decision is the way in which your tactical flashlight is powered. Do you prefer using rechargeable batteries or do you find them more trouble than they’re worth? After all, you might save a few bucks but you’ll also need to think about a charger and perhaps you’ve already got enough cords and power units to last nine lifetimes. Disposable batteries are in many ways much more convenient but they’ll also increase your costs over time. Another option is Li-Ion batteries. These are not the same as disposable lithium batteries, though. They have enough firepower for 1000 lumens of brightness while also boasting a pretty decent lifespan. Charging is a breeze and you’ll be ready for action in a couple hours at most. Think about your budget and intended usage then buy accordingly. Small models are not necessarily worse and in many cases can actually outflank beefier units in terms of both brightness and overall performance. If you’re looking to take your tactical flashlight outdoors, whether on the hunting trail or for a spot of security work, you should prioritize compact torches for the sake of convenience. If you just want the flashlight for use within your home, size is not such a salient factor. Plastic flashlights will generally disappoint. This is not always the case but it’s sound practice to give these models a swerve, especially if you plan to use your flashlight in any kind of professional capacity. Tactical flashlights made from aluminum and aluminum alloys are the smartest bet. You’ll get a lightweight torch that’s also remarkably rugged and built to withstand plenty of rough and tumble. Look for overall build quality and make sure the torches you’re looking at will be fit for the purpose you have in mind. 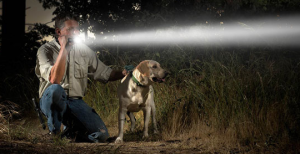 Not all flashlights feature all these modes so think about which will be particularly useful and buy accordingly. With any luck, you’ve now worked out which of these outstanding models would make the best tactical flashlight for your needs. With that decision made, treat yourself and kiss goodbye to walking in darkness to your car after work while also enjoying the confidence of an impromptu self-defense weapon capable of rendering an attacker temporarily blinded while you make off and call the authorities. Come back soon as we’ve got a slew of products waiting to test and review as we rapidly approach the holiday season. We’ve run through a battery of testing and curated 5 of the very best tactical flashlights for you and your needs. Never 'wander in the dark' again.